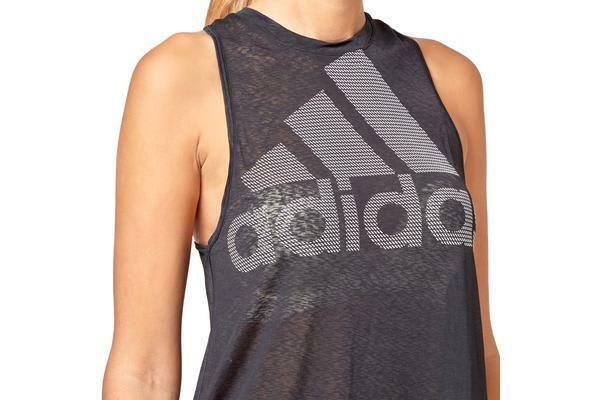 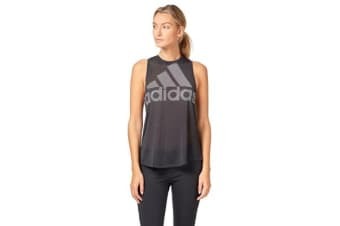 The perfect tank top for your morning runs, the Adidas Magic Logo Tank Top is a soft tank made of lightweight sweat-wicking fabric to keep you dry as your workout heats up. 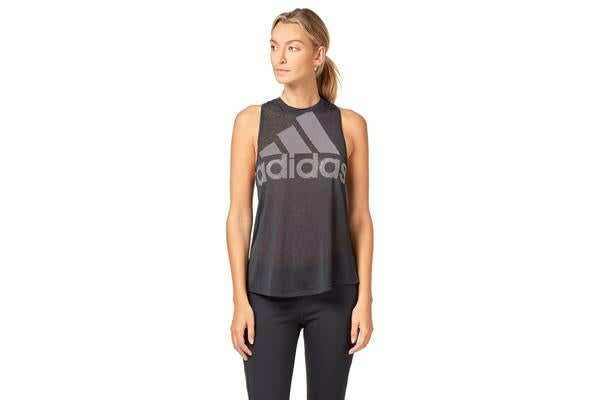 With a soft cotton touch and a racer back. 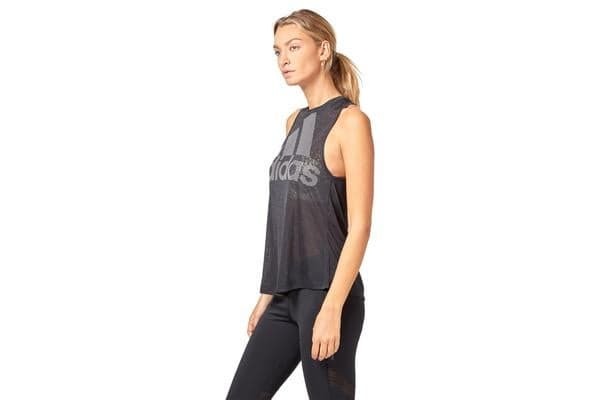 In a sheer finish, this top is ideal for layering over a sports bra and leggings.